The Sotheby’s International Realty vision is about artfully uniting extraordinary properties with extraordinary lives. This video explores the evolution of the extraordinary qualities that set our brand apart along with some interesting global statistics, which combined reinforce the marketing strategies that we employ to help us maintain our leadership role in the luxury real estate marketplace. From a brand-new Trump condo and a historic Newport estate to a golf course community in the South, there’s a plethora of choices in high-end homes. Consider these tips from luxury home market pros before buying your dream home. “You may need to go to more online sources as not everything is on the large search engines.”Ronald Phipps, Phipps Realty, Warwick, R.I.
2. Go beyond the photos. “Make sure you don’t dismiss properties based on their front elevation photos. Many large homes aren’t photogenic that way and you have to see them in person to appreciate. I recommend my clients do a search of the property and vicinity on Google Earth so you can see what’s around the home.” Ronald Phipps, Phipps Realty, Warwick, R.I.
3. Work with a local expert. “It’s critical to have a good buyer agent who is familiar with the area you want to buy in. There’s a bit more control on access to high-end properties in terms of fewer open houses and more appointments have to be made to see them.” Elizabeth Blakeslee, Coldwell Banker Residential Brokerage, Washington, D.C.
4. Bank on your relationships. 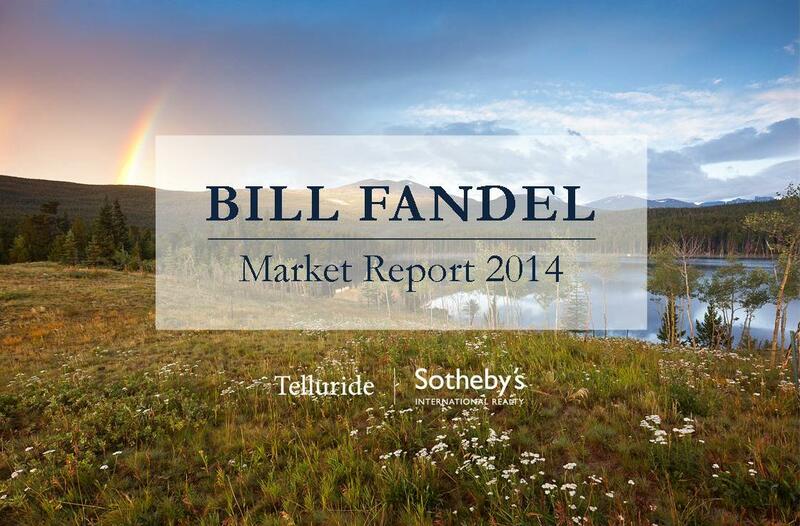 “There is more scrutiny today in the high-end market. Financial documentation is critical. Anyone who is making a lot of money has a manager or an accountant and tries hard to shelter their money so it can be difficult to show the bank you have the income.” Steve Goddard, RE/MAX Beach Cities Realty, Manhattan Beach, Calif.
6. Hire smart, reliable advisers. 7. Don’t forget about title insurance. 8. Look into the future. 9. Know what to expect with cooperatives and condominiums. 10. There’s room to negotiate. 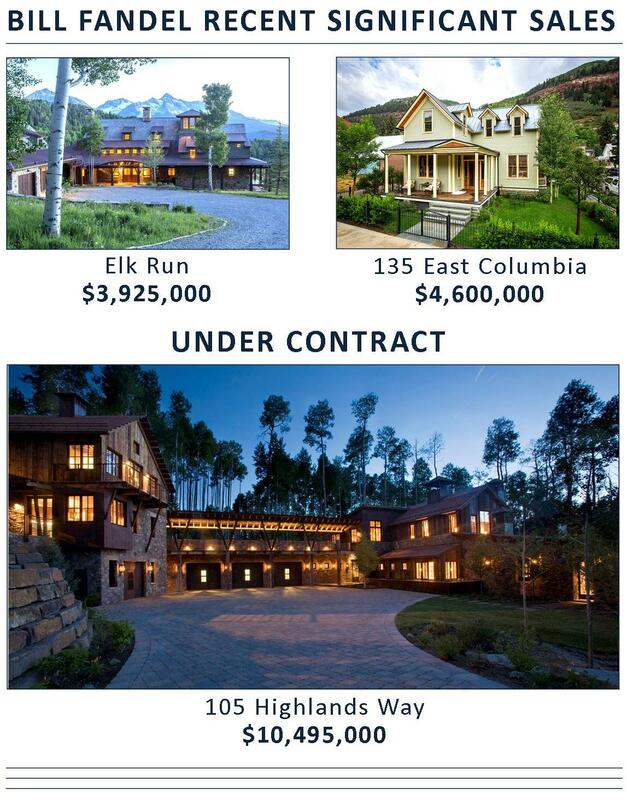 Visit Telluride Luxury Properties here. A roughly 237-acre estate—one of the largest residential properties in the affluent oceanfront community of Montecito, Calif.—has listed for $125 million. Known as Rancho San Carlos, the property has a roughly 30,000-square-foot main house with 12 bedrooms and 10 full and three half bathrooms, according to listing agents Suzanne Perkins and Harry Kolb of Sotheby’s International Realty. The estate also has 10 cottages, equestrian facilities, a small office building and about 100 acres of citrus and avocado orchards. “It’s almost like a small city,” said Mr. Kolb. Located about 90 miles north of Los Angeles and adjacent to Santa Barbara, Montecito boasts some of the priciest real estate in the country and has attracted celebrity residents like Oprah Winfrey and Ellen DeGeneres. Montecito hasn’t yet seen a home sale crack the $100 million mark, Ms. Perkins said, though she said she sold nearly 25,000 acres of ranchland elsewhere in Santa Barbara County in 2007 for about $135 million. In setting the $125 million listing price, Ms. Perkins and Mr. Kolb pointed to the roughly 23-acre Huguette Clark estate, “Bellosguardo,” in Santa Barbara, which they said is believed to be worth more than $100 million. The Rancho San Carlos estate is “one of a kind,” said Randy Solakian of Coldwell Banker Previews International. 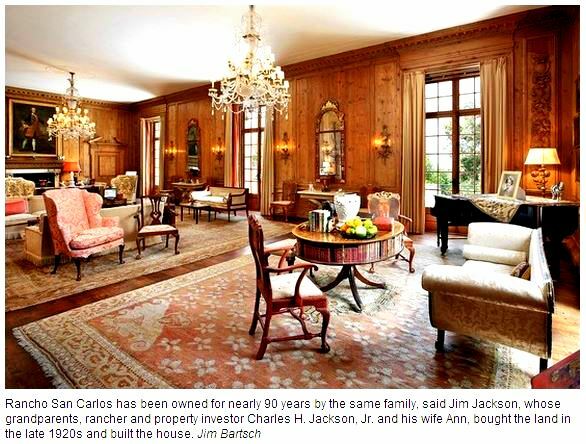 Rancho San Carlos has been owned for nearly 90 years by the same family, said Jim Jackson, whose grandparents, rancher and property investor Charles H. Jackson, Jr. and his wife Ann, bought the land in the late 1920s and built the house. Charles died in the 1970s and his wife in 1990, Mr. Jackson said. Since then the family has maintained the property, but hasn’t used the main house as a full-time residence. With mountain and ocean views, the Monterey Colonial-style house is built around an interior courtyard. The house has an English-style pub downstairs, Mr. Jackson said, accessed by a hidden door—not surprising for a house designed during Prohibition. Below the pub is an underground badminton court with an observation gallery. The house also has a tower office accessible only from the master suite by an exterior staircase. Santa Barbara has long been a hub for polo, and Mr. Jackson said his grandparents were active participants in the sport. They also bred race horses and dogs on the property, which has a barn and stable complex, outdoor paddocks, a trophy room, a roughly 11,250-square-foot covered riding arena and an outdoor training track. The 10 small cottages have mostly been used to house employees, Mr. Jackson said. At one time there were some 30 horses on the property, he said, but there are now only a few. Telluride is quaintly tucked into a picturesque box canyon surrounded on all three sides by majestic 14,000-foot peaks. With the town’s colorful Victorian-era homes, clapboard storefronts, boutiques, art galleries, gourmet restaurants, historic buildings and more, Telluride is a delight to explore. 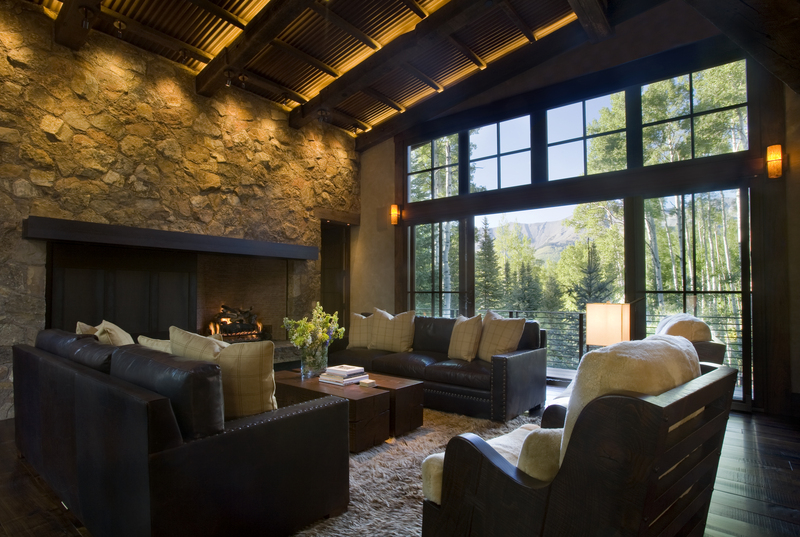 Our citizens are committed to preserving Telluride’s historically significant architecture, open space, traditional design elements and, most of all, Telluride’s small-town mountain lifestyle. 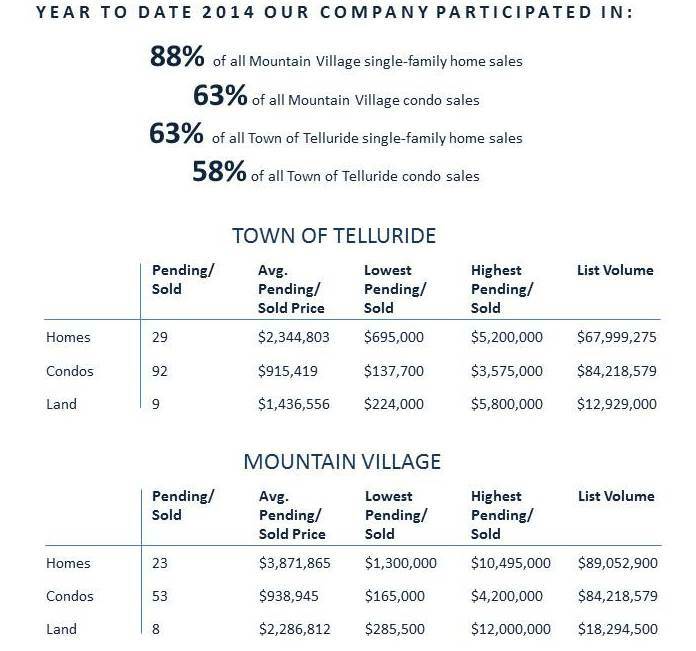 According to data from the Telluride Tourism Board, July was a record-breaking month for tourism in the Telluride region, and fall and winter numbers are looking promising as well. July occupancy was up three points over 2013’s record-breaking numbers. The average daily rate for lodging increased by 9 percent and the revenue per available room increased by 14 percent from 2013.